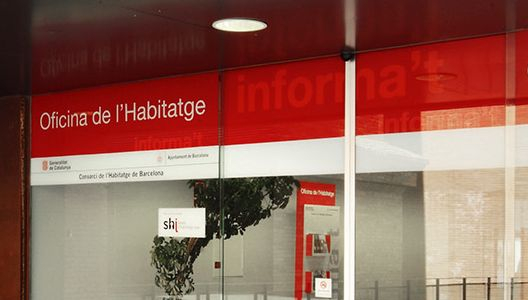 Barcelona Housing Offices are places where the general public can go for housing matters. The offices have a specialised team of housing officers that is responsible for providing users with personalised attention. This network of offices is run by the Barcelona Housing Consortium, which is formed by the Generalitat of Catalonia and Barcelona City Council. Every district has a Housing Office that offers a variety of services, such as information on available subsidies and advice on legal matters. In order to expedite any process, you need to make an appointment for a specific day and time using the appointment service. Opening hours are from 8.30 am to 2.30 pm on Monday, Tuesday, Wednesday and Friday; and from 8.30 am to 18.30 pm on Thursday.p.m. The following Thursday of the year 2019 the opening hours will be from 8.30 a.m. to 2.30 p.m.: March 14, April 18, October 31, November 14 and December 5. Summer hours apply from June to September, both included. During this period, the opening hours are from 8.30 a.m. to 2.30 p.m. from Monday to Friday.